Looking to be more in touch with nature? 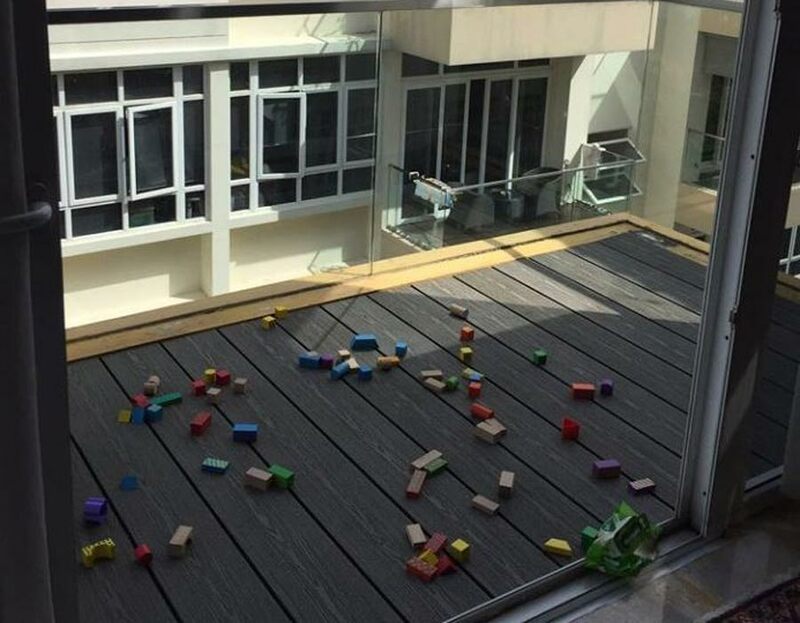 Why not consider transforming the balcony into a mini home garden? 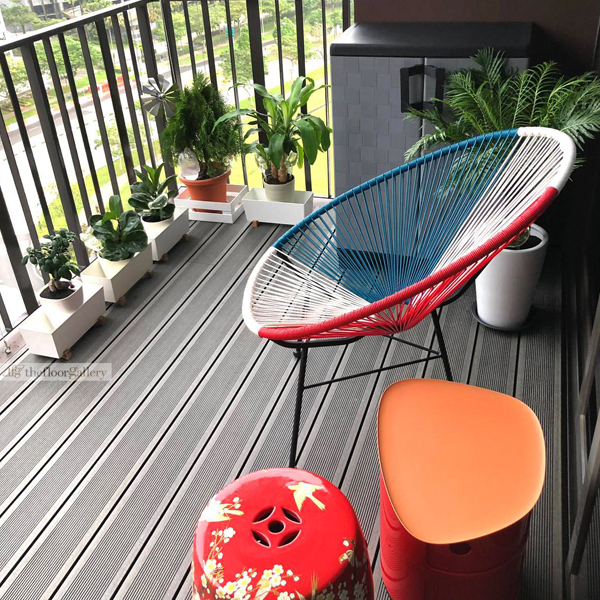 Hang small pots of flowers, plants, herbs and vegetables by the wall or railing to save space while decorating – this design idea works well, especially for small HDB balconies. 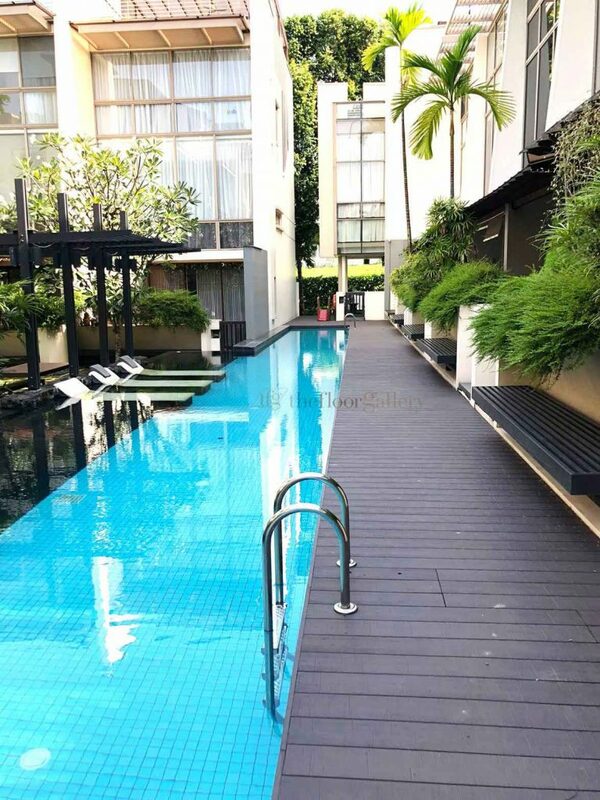 On top of that, this allows homeowners to harness Singapore’s natural elements to grow fresh homegrown produce, and have them added to home-cooked meals. Talk about “from garden to table”! 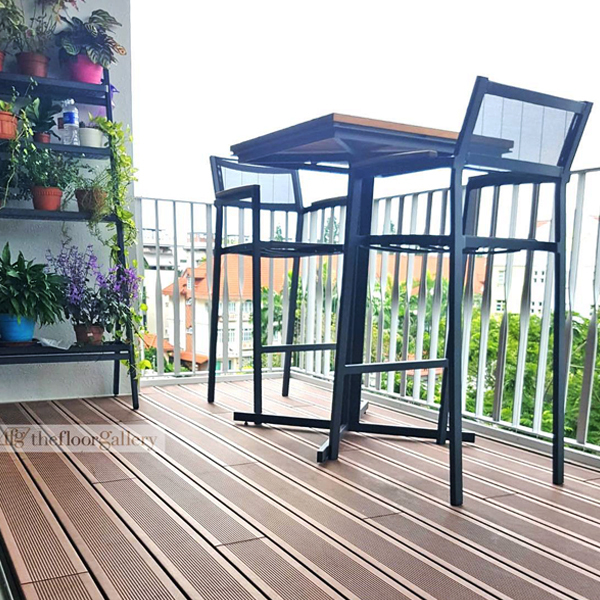 If this idea catches your eye, you may consider heat-resistant and waterproof wood decking for the floor as tending to the garden requires a lot of time and TLC outdoors. Suitable and durable flooring is necessary to keep the gardener-homeowner safe and happy. 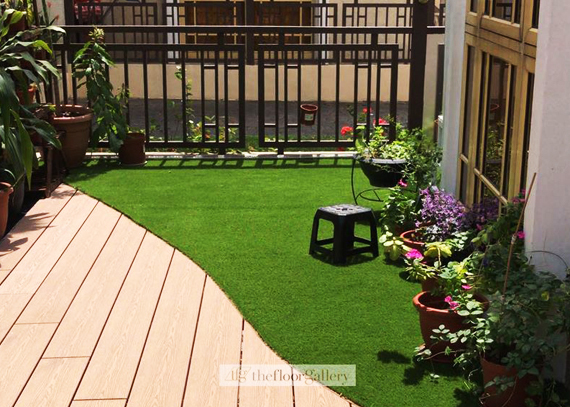 The Floor Gallery’s Eco Wood Composite Decking provides these all-weather resistant features. Feeling inspired? Feel free to browse through our full selection of decking for balconies HERE. Couples who yearn for date nights in the comforts of their home can transform the balcony into a cosy alfresco dining space for those lovey-dovey dinners. Firstly, you will need a portable wooden table and chairs that are easy to clean, followed by a couple of candles complementary to the dining set, and finally, some fairy lights or outdoor lanterns to create a dreamy nightscape. This easy-to-do outdoor balcony design will surely set the mood for a very romantic night in! 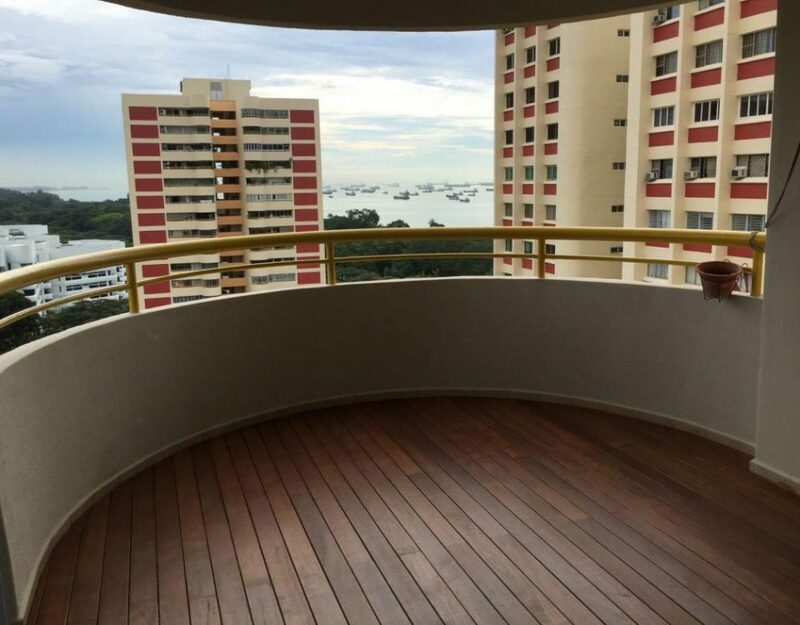 If all you need is a simple space at home to clear your mind, you might consider having a minimalist ‘zen’ balcony. 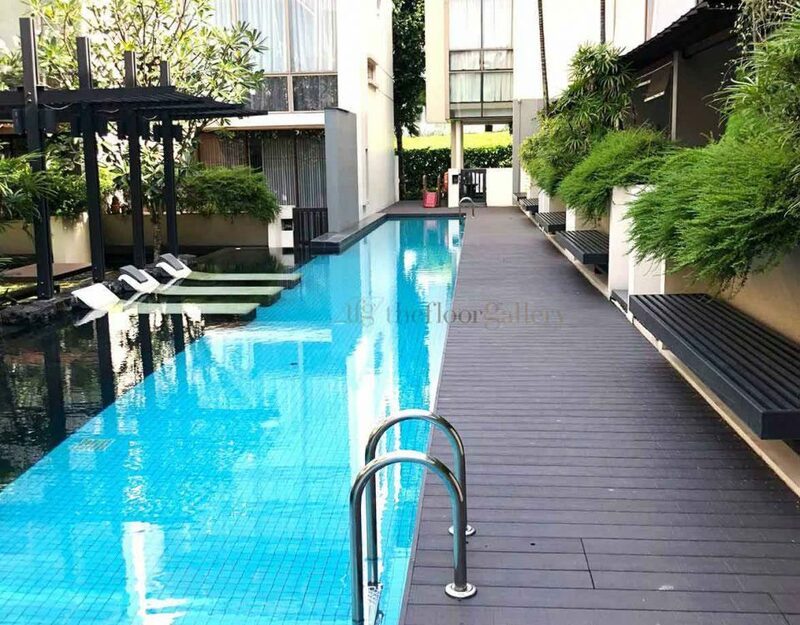 For this, we recommend just two things: a comfortable flooring, such as solid wood decking, for relaxing yoga or meditation sessions on the floor; and a basic furniture piece, such as a small swing chair or a hammock, to sit in and simply enjoy the outdoor view! This minimalist approach is especially suitable for homeowners doing renovations for a balcony with little given space. Hope these ideas have left you feeling inspired to rework your balcony space! Should you have any queries, feel free to contact our decking specialists HERE. Is Wood Decking Good for Your Balcony?